The Green Company has been creating active living communities for residents in the Sudbury area for over 60 years. We proudly develop, build, market and manage residential condominium homes throughout Eastern Massachusetts. Our company has years of experience creating maintenance-free homes for homeowners from the Sudbury area that are made for living, not maintenance. Sweeping fields, fragrant woodland, and ocean views provide the ideal setting for many of our communities while our residents also enjoy close proximity to shopping, dining, and medical care. Our communities are built around the needs of active adults, retirees, and anyone over age 55. Tranquility is another quality our neighborhoods share. We choose parcels of lands far enough from major roadways so that they’ll provide quiet living for all residents. Our homes are built using cutting-edge construction materials and brand new appliances so that they will be enjoyed for years without the need for major renovations or repairs. Don’t like shoveling snow? We provide worry-free snow removal and general landscaping for all residents. The Green Company enables residents to focus on what matters– their families, friends, and enjoying a quality home life– instead of worrying about home repair and lawn care. Our Fresco homes, inspired by California design, range from 1,600 to 2,200 square feet. Portico models are available in 1 or 2 story living plans. All of our Portico homes come with a front farmer’s porch and private rear courtyard that give you a cozy outdoor space for relaxing or entertaining loved ones and friends. Several windows and plenty of open space invites natural light in throughout these homes. Our Portico townhouses grant you up to 1,900 square feet of living space along with a front porch facing your garden area and white picket fence. Although marginally smaller, these homes have no shortage of features such as additional living space to use as a guest bedroom or entertainment area, storage areas, and a roomy floor plan. This neighborhood supplies its residents their own country style meeting house, swimming pool, and miles of walking trails right alongside the Ashland Reservoir and Warren Woods. Lanterns Woods homes give you a choice of a one or two-story floor plan to you can choose the right home that matches your lifestyle and desires. Just like our Hatherly Rise community, homes at The Lanterns deliver plenty of roomy living space, a porch for relaxing, and versatile space for extra storage or whatever your heart desires. 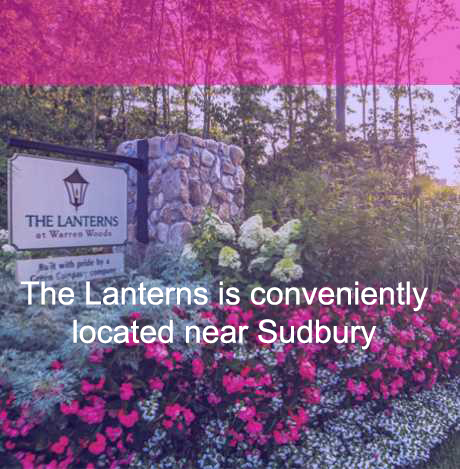 Many of our Hatherly Rise and The Lanterns homes are available right away in move-in condition. All that’s needed is you and your belongings! Even though our homes may look similar from the outside, we give you plenty of options to customize them via our own design studio. We invite all new homeowners to make your home uniquely yours at our design studio. We give you your choice of features including hardwood flooring, cabinetry, countertops, fixtures, and more. There are many reasons 55+ residents can feel good about choosing the Green Company other than our carefully chosen locations and professionally constructed homes. We’ve won multiple awards; in fact, our Pinehills community has been awarded more than 20 national and regional awards in the past five years. We have a lot of passion for our company’s mission to cater to homeowners. Every Green Company department takes pleasure in helping prospective homeowners find the community and model home of their dreams. We’ve built dozens of active living communities in the Sudbury, MA, area since the 1950s. Interested in visiting one of our Sudbury vicinity move-in residential properties in person, or want to learn more about our communities and their benefits? Call us today to schedule a visit. The Green Company supports clients throughout all of Sudbury, Massachusetts, including the following zip codes: 01776, 01778. Click here to return to our MA service area page.